VijayDurg Tourism | VijayDurg Hotels | Mazo Konkan! Yeva... Konkan Aaploch Aasa!!! 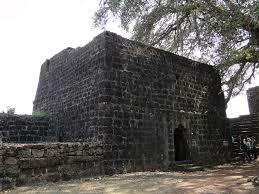 An oldest fort on Sindhudurg coast, Shivaji Maharaj won this fort from Adilshaha of Bijapur in 1653 and renamed it as “Vijay Durg” as the then Hindu solar year’s name was “Vijay”. Vijay means Victory. It is surrounded by water on three sides and connected to land through a narrow road. How to reach : Vijaydurg is 52 kms from Kasarde off Mumbai –Goa NH 17. It is 180 km from Panaji and 525 kms from Mumbai.